Hungary led three times and were pegged back each time in a thrilling encounter at the Stade de Olympique Lyon. Cristiano Ronaldo netted a second-half brace as Portugal prepare to face Croatia in the Round of 16 while Hungary could face any of the teams in Group E.
Hungary took a stunning lead through Zoltan Gera's thunderous half-volley in the 18th minute, before Portugal rallied to equalise before half time through Nani. Skipper Balasz Dszudszak then regained the lead for the Hungarians with a deflected free kick, and Cristiano Ronaldo finally announced himself on the Euro 2016 with the second equaliser of the game, flicking home Joao Mario's cross. Still, problems at the back tainted Portugal's qualities in attack, as Dszudszak again gave his side the lead with a deflected effort in the 55th minute. But Ronaldo was not yet done, nodding in a powerful header to ensure his team finished second in Group F with a draw. A swarm of corners threatened to unlock the Hungarian defence in the early stages, as Nani made a nuisance of himself as he carried Portugal's biggest attacking threat in the first half. The underdogs were clearly focused on marking the talismanic Ronaldo out of the match. For all their efforts to break down a determined backline, Portugal were soon undone by a moment of brilliance from veteran midfielder Zoltan Gera. The ex-Fulham man arrowed a ferocious half-volley past Rui Patricio in what was the first Hungarian attack of the game. The Portuguese were rattled. More sloppiness from Fernando Santos' defence allowed Hungary a huge opportunity to double their lead, when Akos Elek was given a chance at goal, one which he spurned. 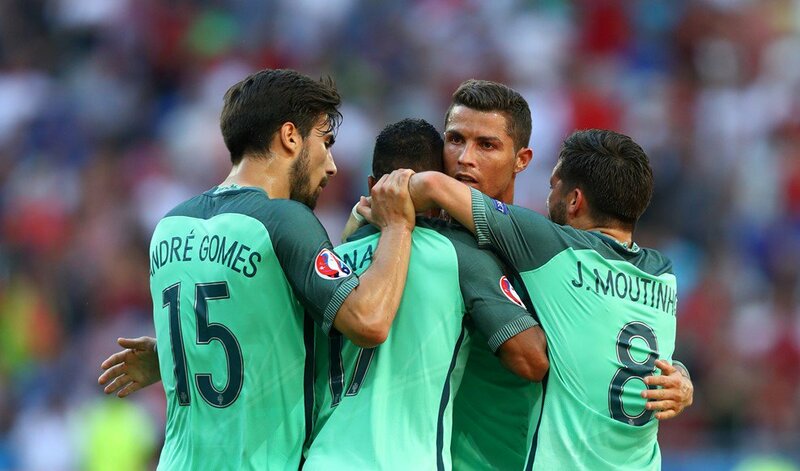 Portugal were heading out with a loss, and were lucky to scramble clear as they faced an onslaught on the counter. Thankfully for the 2004 hosts, Nani crashed home a wonderful finish after Ronaldo played a pinpoint pass through to his teammate. Almost instantly after the break, Hungary led once more. Skipper Dszudszak stepped up and his deflected effort from a free kick ballooned in off Andre Gomes, desperate scenes for Portugal. What followed was the most astonishing spell of any game in the tournament so far. Skipper Ronaldo silenced his critics with an exquisite finish to tie the game up with well over 40 minutes to play, and then his opposite number Dszudszak struck back with a similar goal to his first, a deflected shot which caught Patricio off guard. But it was the three-time Ballon D'or winner who would have the final say in the game of the tournament so far, an impressive header that flew past Kiraly in the Hungarian goal proved to be the one that would ensure his side progressed to the Round of 16 with an unbeaten record intact. 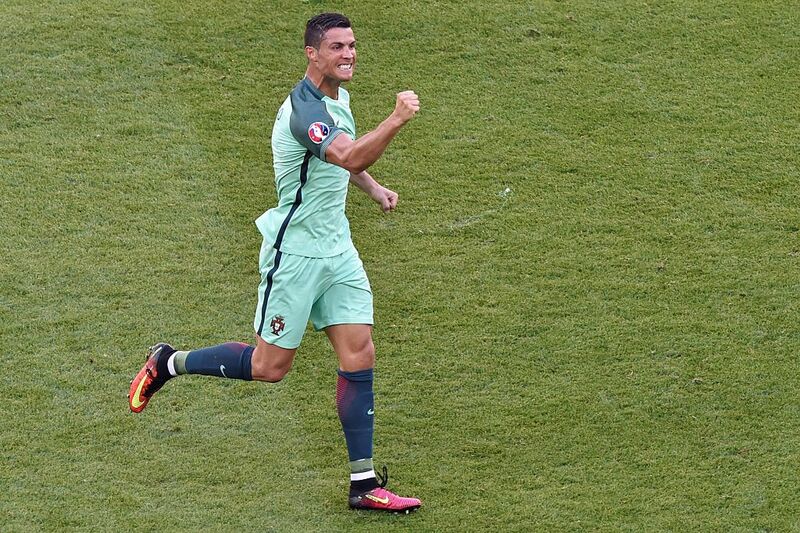 Ronaldo had arrived, and in the process set a new record by becoming the first player to score in four different European Championships. The game continued to be played at breakneck speed, as Ronaldo hunted for a hat-trick and Hungary began to shut up shop. Elsewhere in the group, Iceland struck Austria with a late winner to knock out the 2008 co-hosts, and relegate Portugal to a third-placed finish. Portugal will now face Croatia in the second round in one of the standout ties, while Hungary take on the runner-up from Group E.